Meet Quill the Hedgehog! 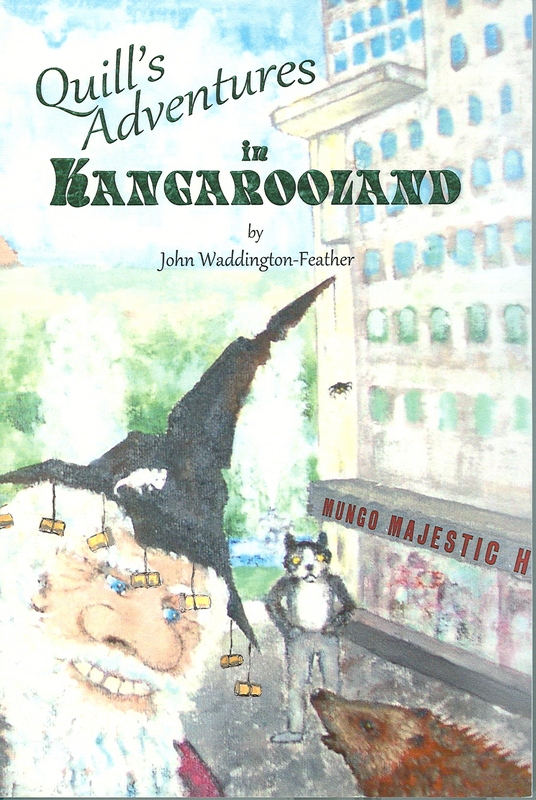 In a series of books by Yorkshire author John Waddington-Feather, Quill and his animal friends have many adventures fighting the wicked plans of alleycat Mungo Brown and his Wastelander rats. John first created Quill during the 1960s to express concern about the environment: Mungo and co destroy and pollute the lands they take from the woodland creatures. In Quill’s Adventures in Grozzieland, Mungo takes over the fungus folk and plans to blot out the sun! This volume was nominated for the Carnegie Medal in 1989. The Quill stories are partly inspired by the fate of Yorkshire’s West Riding countryside during the rapid urbanisation of the 19th century, the downside of the wool industry boom. In a recent email, John observed that a chapter in Quill’s Adventures in the Great Beyond was inspired by an oil painting of Keighley in Cliffe Castle Museum (itself once a mill-owner’s mansion). The painting shows the first industrial chimneys appearing in a rural scene; within a few decades Keighley was a “dirty, smoke-ridden mill and engineering town of over 40,000 people. Slums appeared overnight and the rivers and streams around the town polluted”. This image from the cover of Great Beyond shows Quill and Horatio the cat confronted by the changed landscape of their home. Quill is just part of the story. 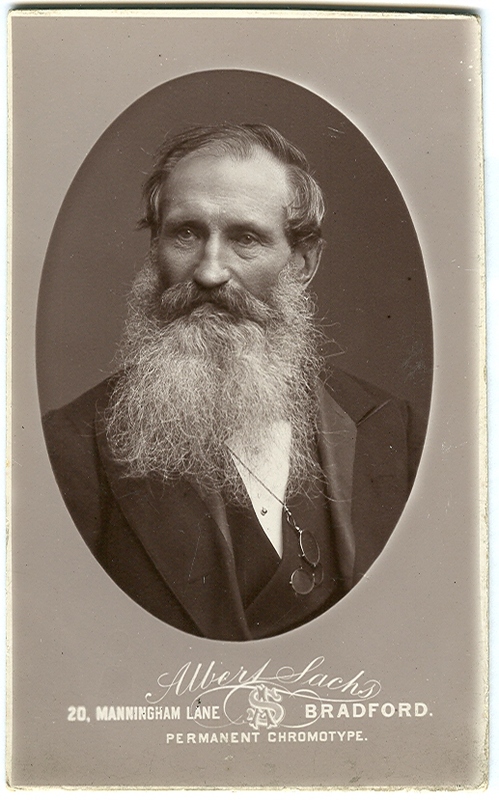 John Waddington-Feather is a prolific author, a schoolteacher (now retired) and an Anglican priest. Born in Keighley in 1933, he attended Keighley Boys’ Grammar School and graduated in English at Leeds University in 1954. John has been based in Shrewsbury for many years, where he has been a visitor and assistant chaplain at the prison. 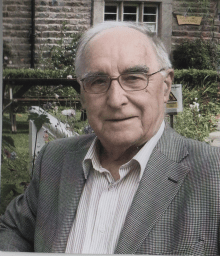 He retains strong connections with Yorkshire: former Chair of the J.B. Priestley Society and now one of its Vice-Presidents, John has a scholarly interest in Yorkshire dialect (e.g. John Hartley) and literature. John also writes for the stage, including two light-hearted plays in verse, Garlic Lane and Easy Street. These are based on his childhood memories, as many of his short stories and essays (some collected in the above book). Yorkshire features again in two historical romances set around the Second World War: Illingworth House and Chance-Child. Many of John’s writings also reflect his Christian faith and his experiences as a priest: he has written many hymns, songs and poems and edits the Poetry Church series on Christian poetry. His play The Lollipop Man was based on his experiences of working with homeless people. Special Collections staff are working with John to develop an archive of his work and interests, including typescripts, correspondence and of course the books. Much of the archive is born-digital, reflecting John’s early adoption of new technology such as selling his books online via his website. Now he’s finding new audiences via the Kindle e-reader! The Blake Hartley mysteries are proving particularly popular; the Quill titles are now being added. 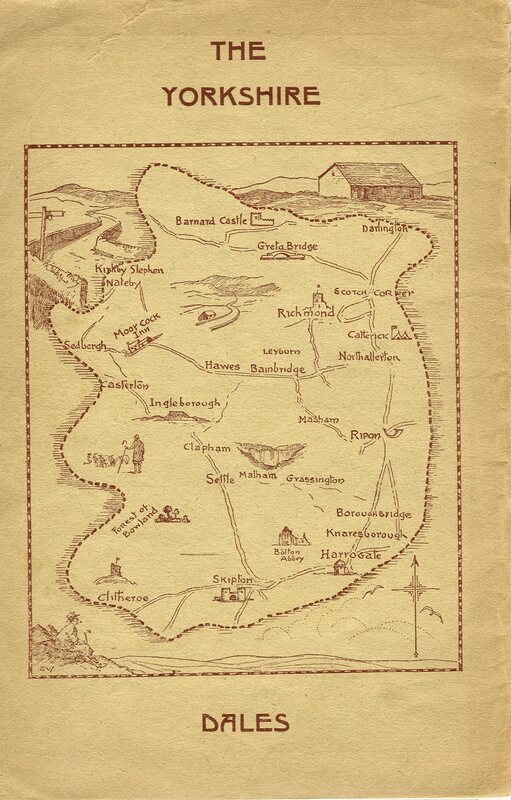 This week, we’re back in the beautiful Yorkshire Dales, looking at the scrapbooks created by local author Dr W.R. (Bill) Mitchell. Bill has put these volumes together over many years, using his own photographs plus ephemera and letters, to create unique and very personal records of Dales lives and landscapes. 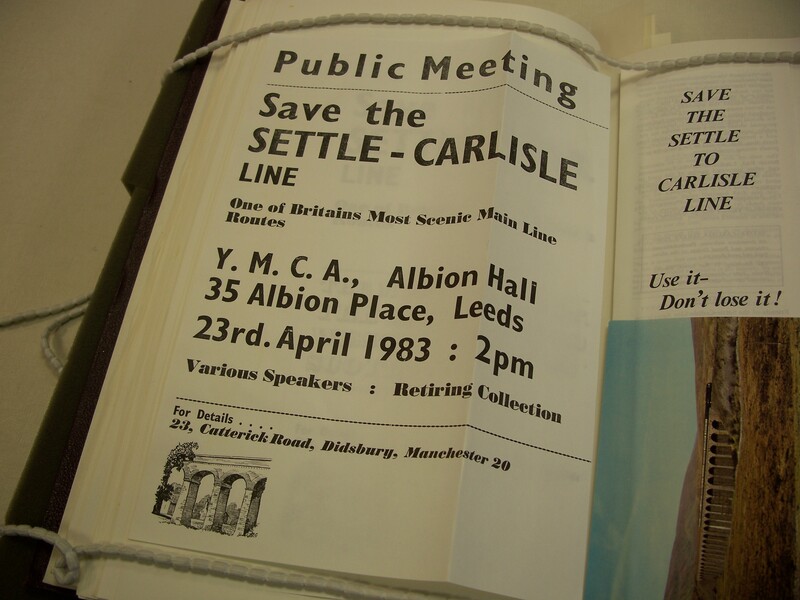 Here we see a page featuring a campaign to protect a Dales feature very important to Bill: the Settle-Carlisle Railway. William Reginald Mitchell was born in 1928 in Skipton, “gateway to the Dales”, to a family who worked in the textile industries and were strongly influenced by Methodism. 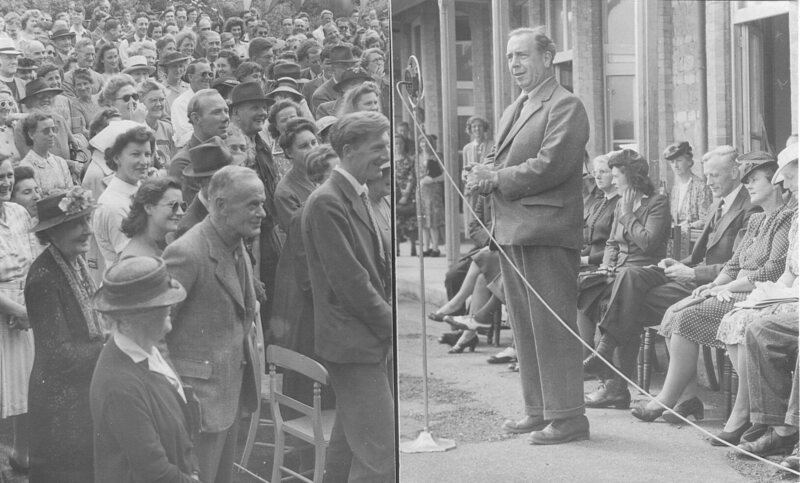 He began his writing career as a “cub reporter” on the Craven Herald in 1943. After service in the Fleet Air Arm, he returned to the Herald in 1948; he was then asked by Harry J. Scott, editor of The Dalesman, to join the magazine’s staff. Bill later became its editor. He also edited a sister magazine, Cumbria, after The Dalesman took it on in 1951. Bill retired from The Dalesman in 1988. Alongside writing for and editing the two regional magazines, Bill has written over 200 books and numerous articles, not to mention giving thousands of talks to local groups, radio and television. He often refers to the advice given him by Harry Scott when he first joined The Dalesman: “We are more interested in people than things”. Bill took this advice to heart: his works are full of the stories and voices of Dalesfolk, their tough working lives and their distinctive humour. The titles of Bill’s books range from ABC of Lakeland to You’re Only Old Once! Not to mention Summat and Nowt, and By Gum! Life were Sparse! They include folk tales, popular histories and biographies of famous people and local characters: J.B. Priestley, Alfred Wainwright, the Keartons, the Brontës, Arthur Ransome, Beatrix Potter, Dales farmer Hannah Hauxwell, cheesemaker Kit Calvert, TV vet James Herriot, naturalist Reginald Farrer and many more. 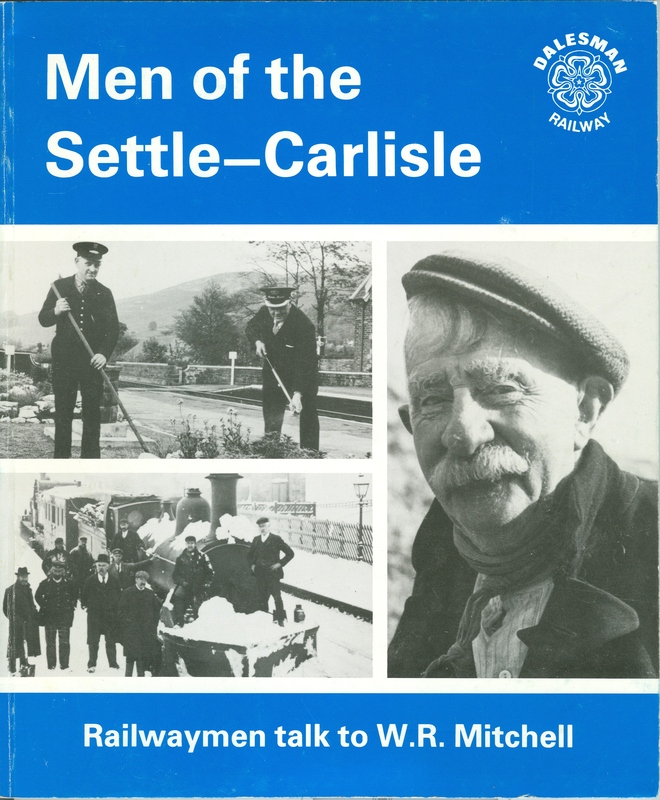 Bill has written thirty books about the Settle-Carlisle Railway, exploring the legendary Ribblehead Viaduct, the building of the Railway, the lives of its workers and their families, and the stories of individual stations: Dent, Hellifield and Garsdale. 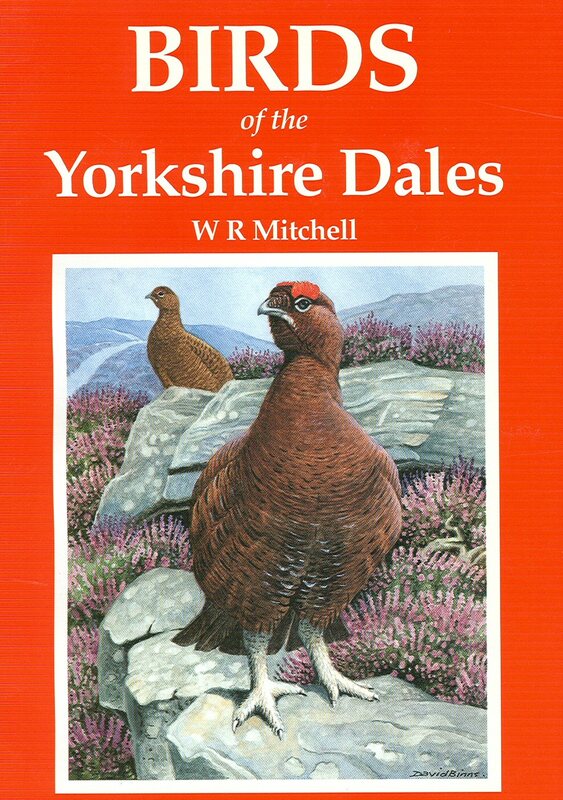 Bill Mitchell is also a naturalist, hence many works about flora and fauna, especially bird-watching and the Sika deer of Bowland. Alongside the stories of Yorkshire and the Lakes, there are also glimpses of the natural history of Scotland. 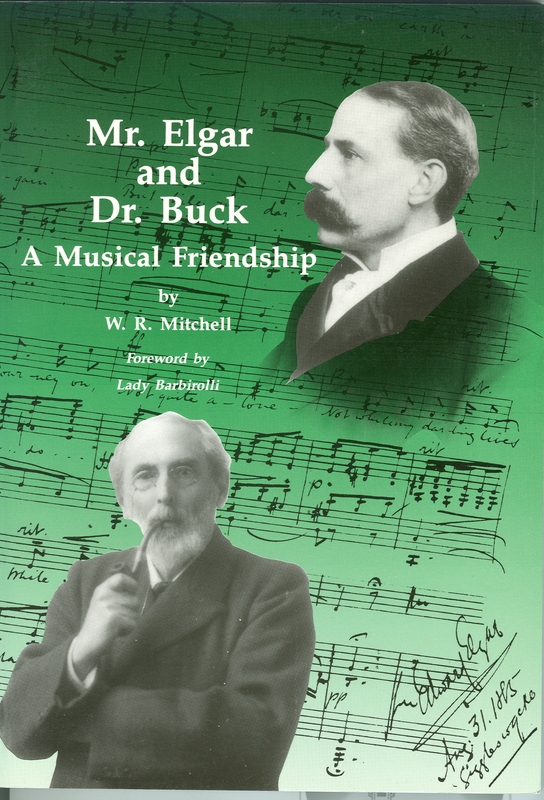 Music is also important to Bill: his research into the friendship of Elgar with Dr Buck of Settle led to the discovery of correspondence and new manuscript music written by the composer. These wide interests are reflected in Bill’s scrapbooks and in his Archive at the University of Bradford. Our Bill Mitchell Archive came to the University of Bradford after Dr Mitchell was awarded an honorary degree in 1996. The Archive includes the scrapbooks, letters relating to Bill’s work at The Dalesman, ephemera relating to the Keartons, and audiocassettes of interviews with Dalespeople. These interviews on these audiocassettes are at the heart of an exciting project led by Settle Stories. The project aims to make the interviews much more widely accessible, offering new knowledge about Dales lives and work and opportunities for learning and enjoyment for local people. Find out more about Bill Mitchell and the project here. 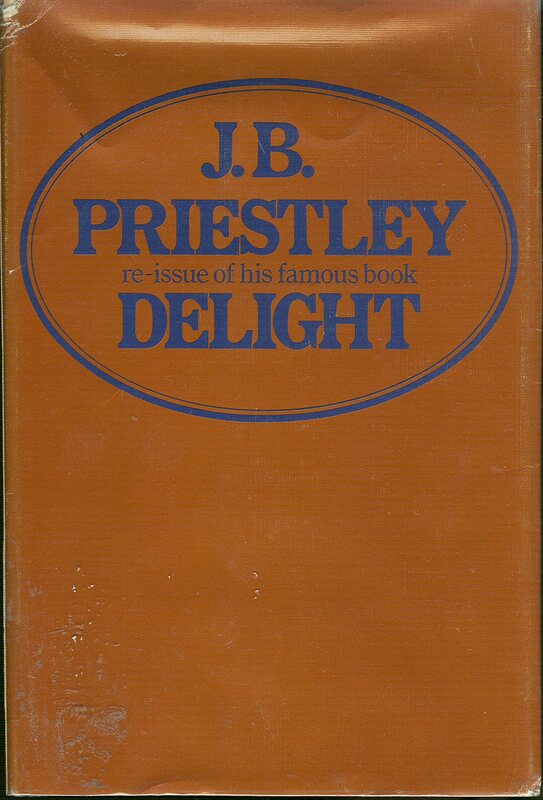 J.B. Priestley’s Delight (1949) is one of his best-loved and best known books. A quirky selection box of 114 mini essays, each offering a glimpse of an everyday moment which delighted him. Altogether they also give a sense of Priestley’s personality, family life, his boyhood in Bradford, and life in the late 1940s. The joy of this book is that there are Delights to appeal to everyone. My own favourites are A walking tour, about the joy of a spring morning in the Dales just after Priestley left the army, Gin and tonic, 1940, which gives a lovely sense of a moment of peace in the pub during the madness of the Blitz, Lawn tennis, and The sound of a football. Some are famous, such as Fountains, in which Priestley calls for towns and cities to be filled with “fountains – more and more fountains – higher and higher fountains – like wine, like blue and green fire” instead of the “many idiotic things we are given and do not want”. Some are funny, such as Quietly malicious chairmanship. Priestley must have sat through many excruciatingly dull meetings to give this insight into how a chairman can ruin an event by pre-empting the speaker’s main point in his introduction, whispering, passing notes, doodling, and taking a cigarette lighter to pieces. Some show Priestley’s delight in things one might expect him to like, such as tobacco (Trying new blends, Smoking in hot bath). Others give new insights into unexpected experiences, such as the refreshment of Mineral water in bedrooms of foreign hotels, after traipsing round cathedrals etc and drinking too much wine. The essays often explore the compensations of adulthood: being allowed to wear Long trousers, and No school report, and of age, such as Not going to social events if you don’t want to – he came to realise he wasn’t missing much, and not to care if he did. The book has added resonance because it goes against Priestley’s own apparent nature and public image. As he said in his Preface, or “Grumbler’s Apology”, “I have always been a grumbler”, stemming in part from his Yorkshire background where “to a good West Riding type there is something shameful about praise, that soft Southern trick. But faultfinding and blame are constant and hearty”. Naturally, as a journalist, Priestley often felt compelled to highlight negative things in his essays and broadcasts, speaking for those who could not. Which might lead readers to complain, as he suggested, “Does this chap never enjoy anything?”. But of course he did – and Delight beautifully illustrates his talent for evoking positive emotions, especially little bits of happiness, wonder and cosiness in everyday life. Want to experience Delight for yourself? It’s in print (60th anniversary edition), plentiful and cheap on the second-hand market, and widely available in public libraries. If you read it, do let us know your favourite Delight, and if there are modern works (blogs perhaps) which do something similar. 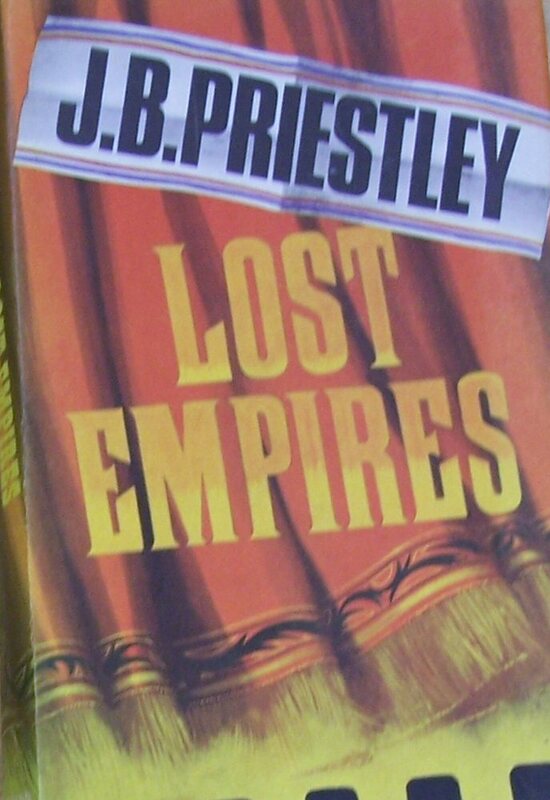 The novel Lost Empires (1965) is J.B. Priestley’s late masterpiece. Like so many of his finest works, it is set in the long-lost Bradford of his teens, a vivid world of larger-than-life characters, proud provincial cultures – and music-hall. Priestley loved music-hall. It was part of what he called his “broad-brow” appreciation of any cultural experience that was life-affirming, from classical music to football. However, as with his other explorations of pre-war Bradford, he could see the dark side of what might otherwise be cosy nostalgia. Priestley’s naive young hero, aspiring artist Richard Herncastle, joins his uncle Nick Ollanton’s astonishing Indian Magician illusionist act. Richard finds romance and glamour, but also betrayal and unhappiness, though, in keeping with the picaresque comic English tradition which strongly influenced Priestley’s novels, he eventually gains wisdom and love with the right woman. 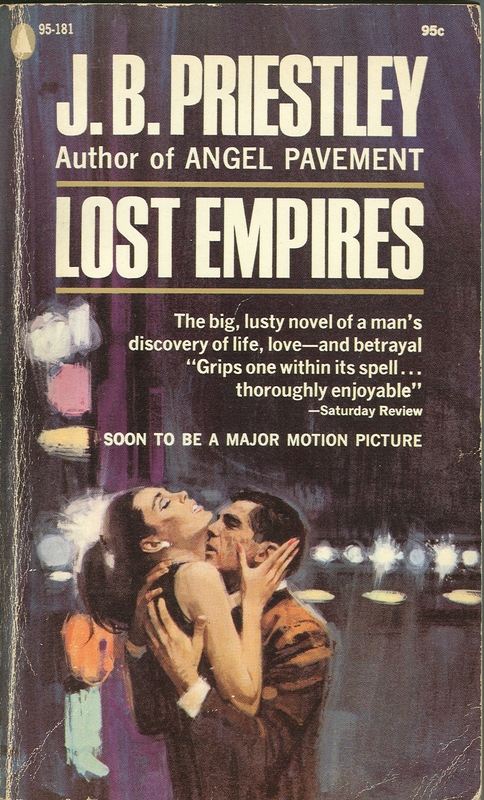 Lost Empires front cover, Popular Library 1965. The “major motion picture” did not happen though readers may remember the 1986 Granada TV series, starring Colin Firth as Richard. Lost Empires shares with The Good Companions Priestley’s relish for describing the day to day experiences of travelling artists. It is a less sunny reading experience however, partly because 1960s freedoms enabled Priestley to write more candidly about relationships, but above all because of the reader’s sense of the shadow of the Great War. “The war isn’t going to last months, it’s going to last years and years – and every year it’ll get worse. You’re asking to be put into a bloody mincing machine … We’re in for the biggest bloody massacre of all time. And you can’t even wait for them to fetch you”. Objects are taking a short break – join us again on 15 November for lots more. Meanwhile, here’s a look back at some of the stories of previous Objects, with a Movember theme! 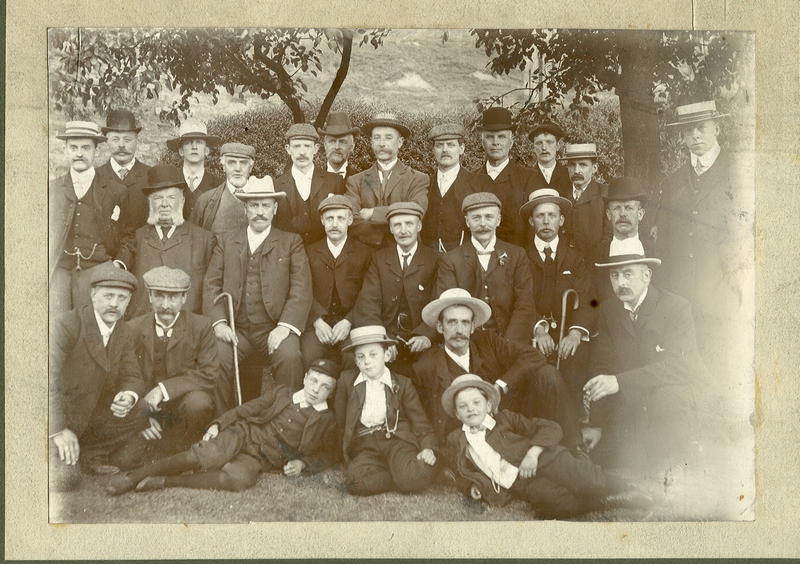 Group photograph from the Bradford Technical College era. Who are they? We don’t know: do you have any idea? 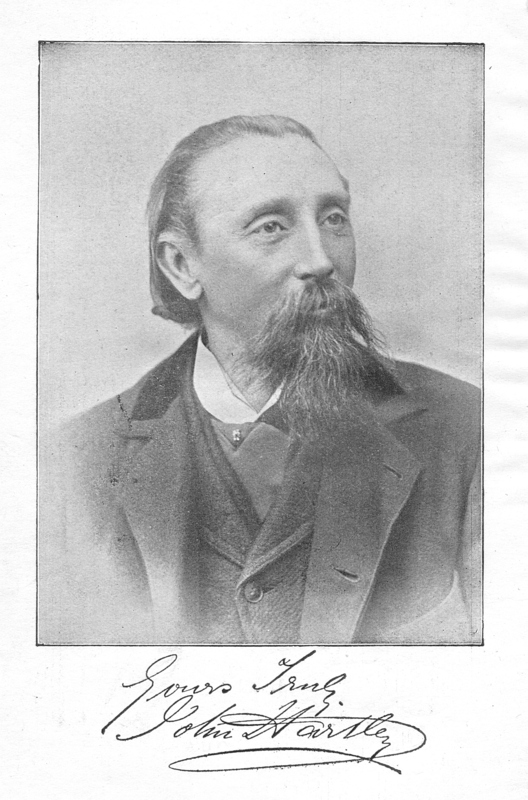 Joseph Riley, a Bradford wool merchant who travelled on the Orient Express. And stories of Sir Isaac Holden, Bradford entrepeneur and politician: courtship of Sarah Sugden, his quarrel with Lister, his lost mansion – and there’s more to follow! 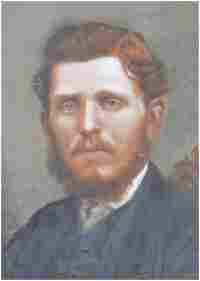 John Hartley, born in 1839 in Halifax, was a prolific author of stories and poems in Yorkshire dialect. His work is funny, sardonic, exuberant, often sentimental, often grotesque, realistic about the tough lives of West Riding people. He often shared and exaggerated events in his own life through his alter ego, Sammywell (Samuel) Grimes, and Sammywell’s sharp-tongued wife, Mally (based on Hartley’s second wife Sophia Ann). Sammywell’s comic misadventures, like his creator’s, took him to America, London, Blackpool, Paris and the Lakes. 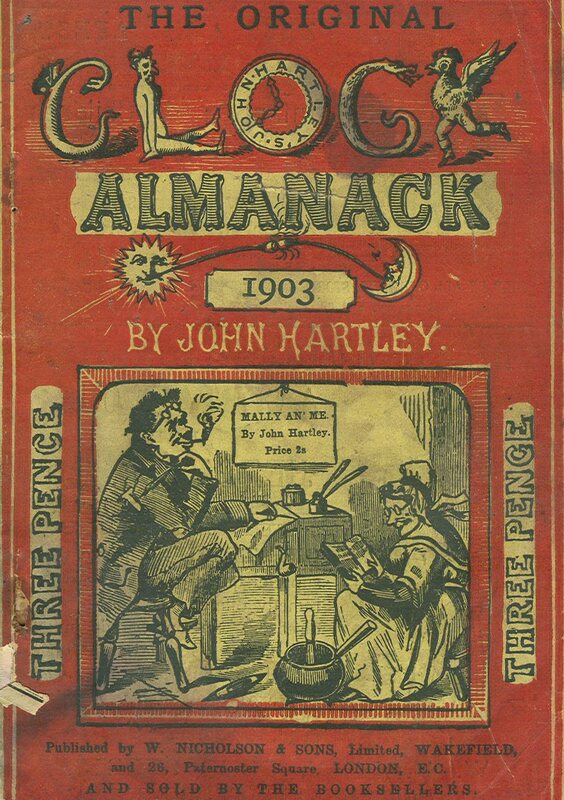 The Clock Almanack is probably Hartley’s best known work. He edited it from the 1860s with gaps for travel until his death in 1915, though the title continued to be published until the 1950s. In tiny type on poor quality paper, produced in great numbers (80,000 sold per year at its peak), this title was part of a unique cultural phenomenon: the explosion of dialect almanacs aimed at the vast new reading public among the working people of the West Riding. The guests enjoy the feast so much “aw think they must ha’ been savin thersen for a wick an’ come as hollow as a lot o’ drums”. Unfortunately Sammy gets the Jamaica cream rum for the women’s cups of tea mixed up with Tincture of rhubarb, with, needless to say, unpleasant consequences for all concerned. It’s a very simple story, but it’s transformed by Hartley’s sheer enthusiasm for the wonderful food, his lively portrayal of the guests’ greed, the vivid language, plenty of sharp dialogue, plus a surreal cake, shaped like Solomon’s temple with Solomon himself standing in front. The guests eat the whole temple except “th’ front door step. Then they grummeled because ther worn’t a cellar kitchen”. Then they eat poor Solomon, “until ther wor nowt left but th’ hams”. Interested in Yorkshire dialect? Special Collections is rich in Yorkshire dialect works: the Waddington-Feather book collection includes copies of the Almanack and several other works by John Hartley, and there is also plenty in the Mitchell, Priestley and Riley book collections. Several works by Hartley are online at Project Gutenberg. (With thanks to John Waddington-Feather’s The Best of John Hartley, in which the above story is handily reprinted, and Notes on the West Riding Dialect Almanacs by B.T. Dyson in Transactions of the Yorkshire Dialect Society 1975). 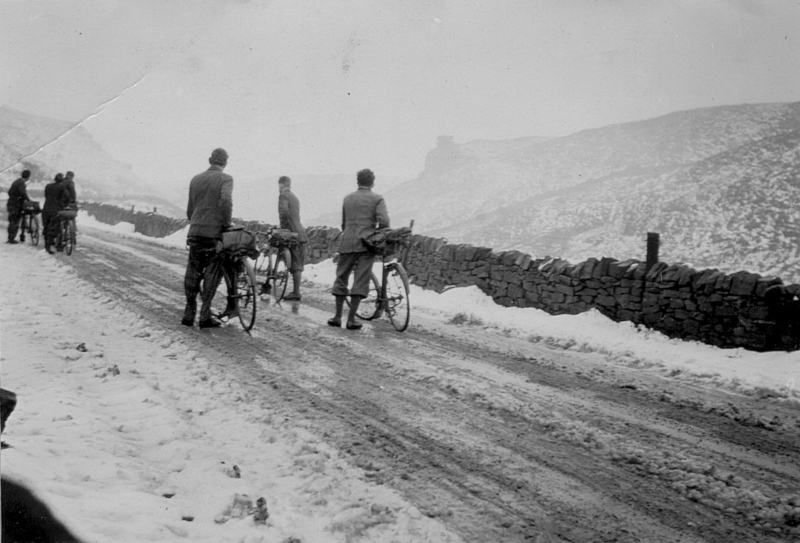 This week’s Object takes us back to the Yorkshire Dales again, this time by bicycle. As we already saw, Special Collections is rich in archives and rare books about this beautiful part of Britain: the Dales begin close to Bradford and became a place for recreation and escape for the workers of the West Riding away from the crowded and dirty towns. J.B. Priestley often wrote of the joy he and his friends experienced in the Dales. 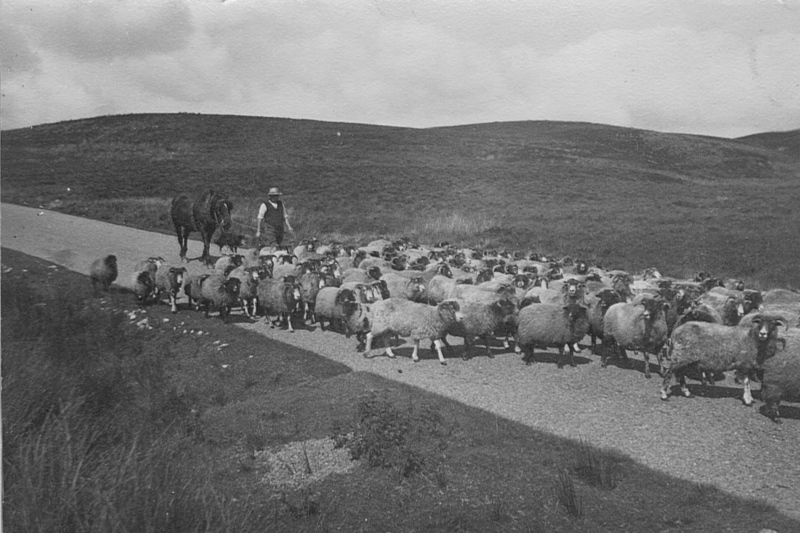 Our Object is the Fred Robinson Butterfield Collection, photographs taken by Mr Butterfield of the Keighley Road Club, who toured the Dales and other Yorkshire beauty spots during the 1920s and 1930s. 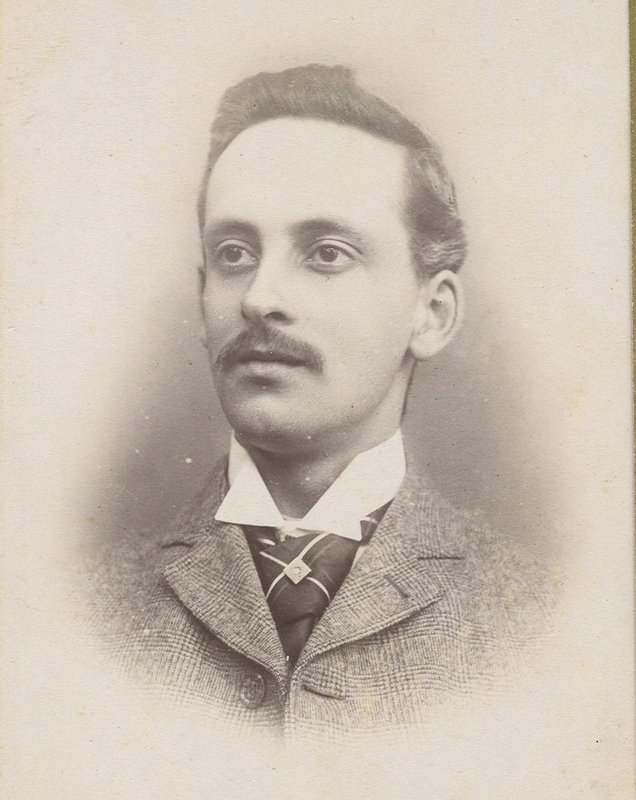 He was first Secretary of the Club and later became an honorary member. 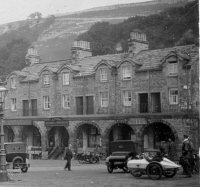 The negatives and prints in the Collection show us the wonderful scenery, quiet roads and varying weather of the Dales long ago. We recently listed the places covered by the photographs. This list, and the images themselves, will soon be freely available online for Dales lovers everywhere to share and enjoy.